Fr. 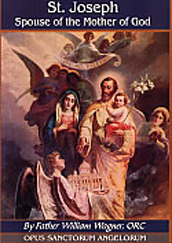 William Wagner, ORC:Through all his hidden virtues and sacrifices, St. Joseph contributed in a profound way to the life and holiness of the Holy Family. His deeply spiritual relationship to the Blessed Mother found here has often been overlooked in the spiritual tradition.